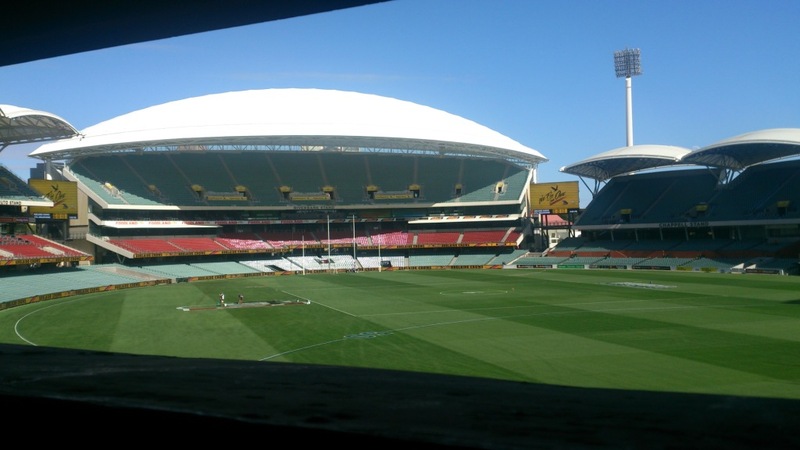 The return of elite footy to the Adelaide Oval is a bonus for scoreboard lovers, for there are not many scoreboards like this classic century-old structure. 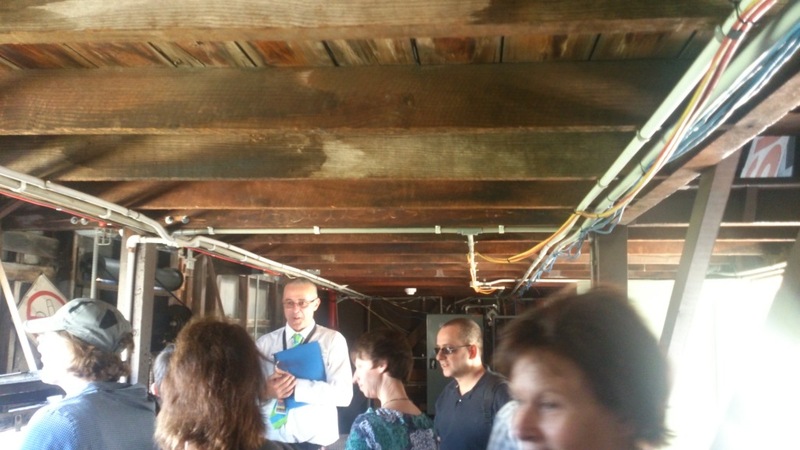 It has survived not only the ravages of time but the advances of the Oval’s recent multi-million dollar re-development. 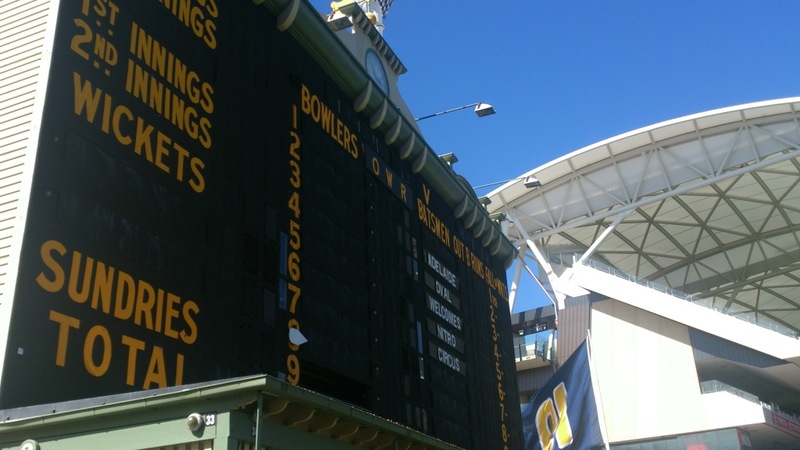 The highlight of a 90 minute tour of the Adelaide Oval is the ten-minute visit into the gizzards of the historic scoreboard. 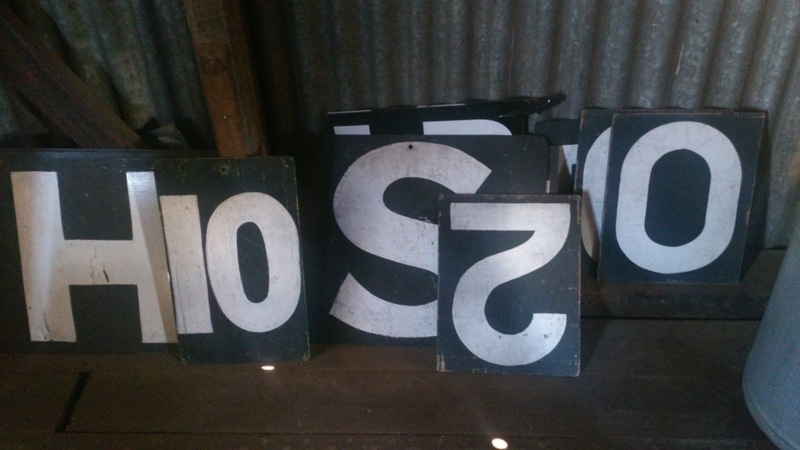 The scoreboard resembles the insides of a large garden shed found at the back of a pre-WW2 home in Dudley Park, complete with 1963 Frigidaire festooned with a “DRINKS $1 EACH” sign scrawled in texta and the attendants fearing a visit from the Workcover inspector. Frank Scott worked on the scoreboard for over 25 years. He was a stalwart at the Ingle Farm Football Club when I knew him in the late 70s /early 80s. Frank admits feeling a little nervous when the electronic scoreboard was erected next to the original building, but now thinks they make a good pair. For cricket matches, there are three-to four operators with separate tasks for the batting, bowling and fielding, with a flurry of activity at the fall of wickets. 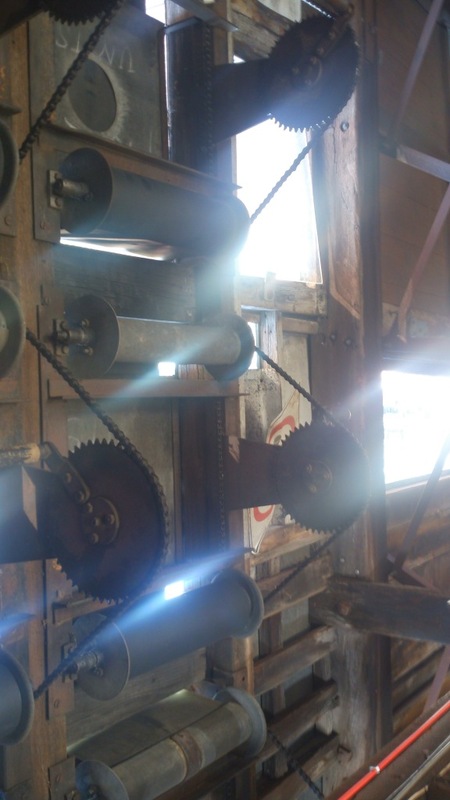 The scores are controlled by hand using a series of rollers controlled by cogs and bicycle chains. 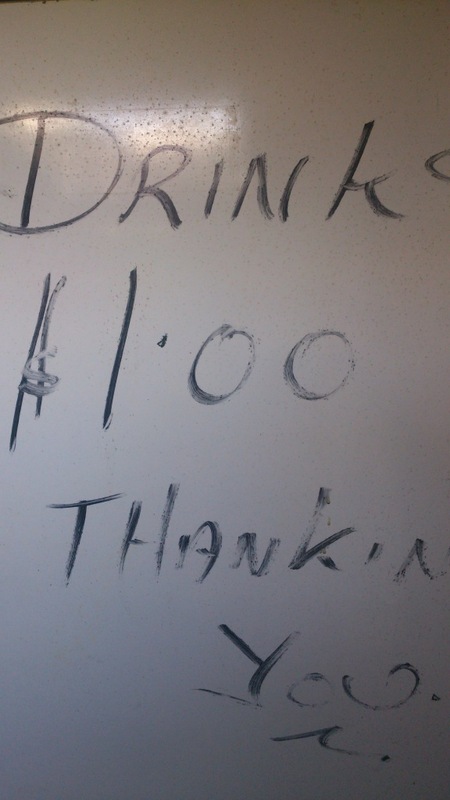 We didn’t open the fridge with the “DRINKS $1 EACH” sign, but since there is no air-conditioning in the box, I expect that it was kept full at all times. The scoreboard is a tribute to simplicity and ingenuity. May it stand for the next hundred years. Parts of this story were first published on The Footy Almanac. View from inside the scoreboard.